Jost is the Emergency Services Administrator for Glasscock County and manages its 18 volunteer EMTs. It’s clear from the layer of dirt on the ambulances’ back doors that they’ve been busy driving along dusty roads. On one, a hand-drawn message has been left on a window: “Wash me”, which makes Jost chuckle. Glasscock County is about a half-hour drive from Midland. Not many people live there, but each day the population swells with transient workers. And because of fracking operations, commercial traffic has been non-stop. Jost says this is causing her team to respond to a lot of car crashes. For a long time, 911 calls for car wrecks and traumatic accidents were few and far between in Glasscock County. Volunteer EMTs had an easier time balancing their personal life with responding to emergencies. But the calls have more than doubled. 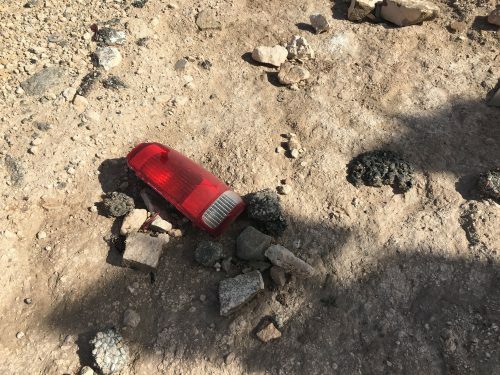 You can see the evidence —broken tail lights, pieces of fiberglass and plastic gloves left by EMTs—strewn all over the side of the roads in certain places. A lot of the accidents Jost and her team respond to happen in one place — the intersection of Highways 137 and 158. Thirty percent of all Glasscock County accidents happen here. The speed limit is high, it’s easy to miss signs warning drivers to slow down, and these days, the roads are often backed up. It’s a dangerous mix that happens all over the Permian Basin. Christian Olivares lives in Midland and described a close call he had just last month. Olivares caught a break that night. But he wasn’t so lucky a few weeks before when a driver rammed into him at a stop sign and totaled his car. Crashes like these have jumped at an alarming rate, says James Beauchamp. 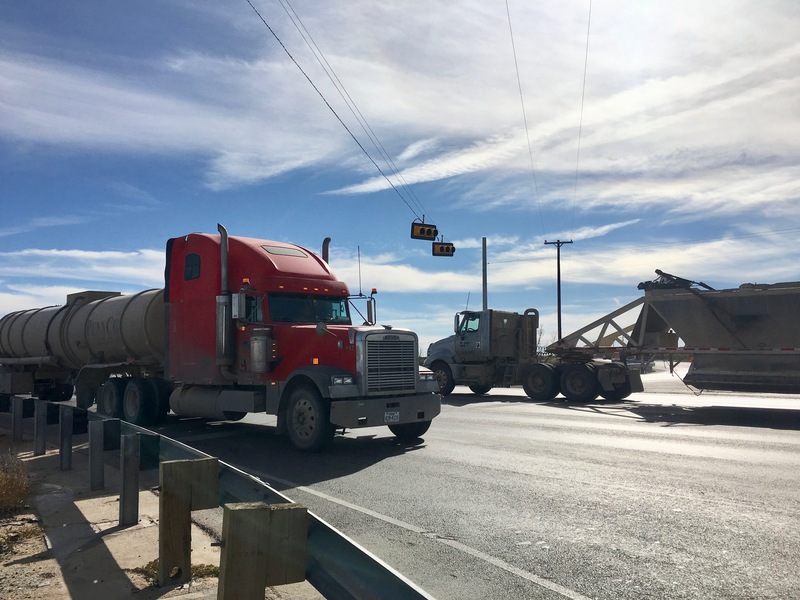 He’s the president of the Midland-Odessa Transportation Alliance, a group that works to improve infrastructure in the Permian Basin. They found that in 2017, there were almost 9,800 crashes, which resulted in 173 deaths. That’s about a 63 percent increase in the number of people who died in 2016. For now, Jost is knocking on wood that things don’t get worse. This entry was posted in KRTS News and tagged accidents, Glasscock County, MOTRAN, Permian Basin. Bookmark the permalink.